Someone is hunting down America's most elite special ops soldiers--in their homes. A deadly fall on a rugged stretch of California coast. A burglary gone wrong in Virginia. These incidents seem unrelated, but the victims were living undercover, their true identities closely held secrets. They are members of a classified team, the last line of defense against foreign threats. Now, someone is assassinating them, one by one, taking out family members and innocent bystanders to make the deaths seem like accidents. 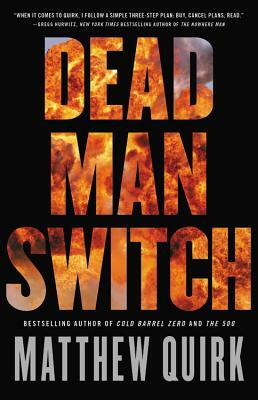 Dead Man Switch delivers nonstop twists, turns, and action in a high-stakes thriller about what happens when the fight abroad follows our covert operators home-and their painstakingly constructed double lives are shattered.